The Texas BB-35 is 104 years now but the stories of how she aided the U.S. troops in two major wars are still fresh. However, the ship did not do it alone but the stories of the men who steered the ship to glory are sometimes not told with as much enthusiasm. To mark the 100th anniversary of the great battleship, the Texas Park and Wildlife Department in association with the Battleship Texas Foundation hosted a ceremony to celebrate the event as well as honor the sailors who served aboard the vessel. 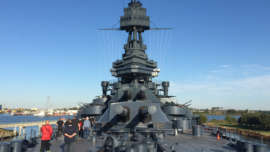 It would likely be the first time that the tale of the greatness of the Battleship Texas on the D-Day will be told alongside the crew. Staring at the old ship which had new paint coat on its deck, the old warriors could not hide their emotions. 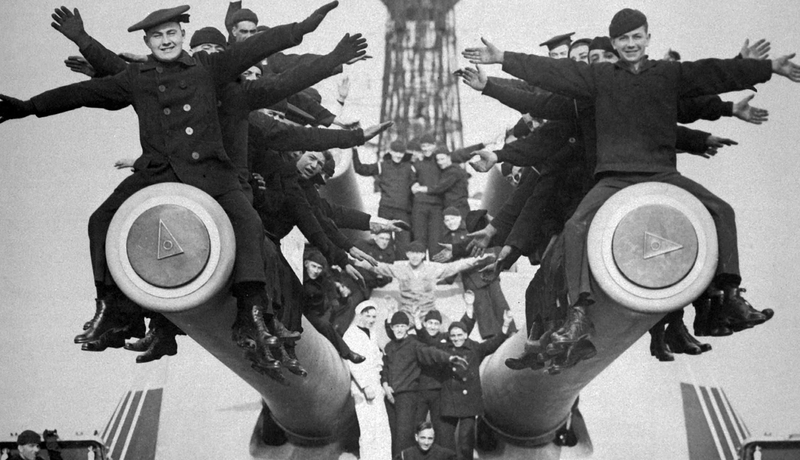 For some of the veterans who served from one to five years on the ship, it was definitely a final reunion with the ship. On this premise, the USS Texas Veterans Association chair, Johnita Smith admitted that it was a huge event. 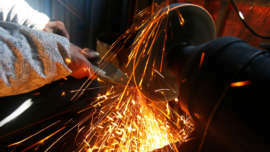 The event also commemorated the 100th anniversary of the commissioning of the ship. 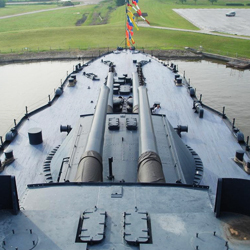 It can be recalled that Battleship Texas was the most lethal war machine at that time, having 14-inch guns mounted on it as well as being the first launch aircraft and have anti-aircraft guns mounted on it. Lt. Gov. 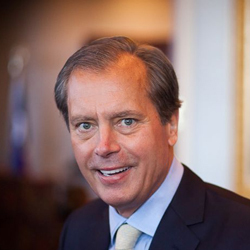 David Dewhurst who was the keynote speaker of the event told the veterans that it was their courage in the World Wars that “made the greatest generation the greatest generation”. On the list of attendees of the epoch-making event were thirty-two ex-sailors that served aboard the Texas BB-35 during World War II. The oldest of the sailors was said to be 101 years. The former sailors were decorated with “Patriot Medals” which was commissioned for the event by the Battleship Texas Foundation. 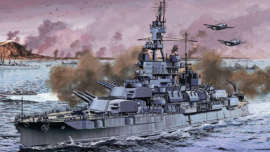 The total number of sailors that served on the Texas BB-35 is uncertain but it is believed that there were at least 1,800 men on board at any given time. Although only thirty-two veterans made it to the event, the executive director of the Texas Department of Parks and Wildlife, Carter Smith estimated that at least ninety survivors are still alive. 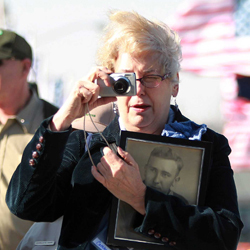 Some of the veterans who have passed away were represented by their family members. The family members carried their framed photographs along. Spotted was Cathleen Sain Turick who held to her breast the picture of her father, Clyde Sain, a WWII veteran. The ceremony started on a Saturday morning on the bow of the ship and continued the following day with a concert featuring fireworks and military flyovers. The event also featured video addresses from former President George W. Bush and the commander of the United States Special Operations Command, Adm. William McRaven. I am originally from New York, but my parents moved to Texas when I was young. Growing up in the state of Texas one of the things that have fascinated me was the Texas BB-35. I must confess that the first time I toured the great battleship with my dad I was immediately fascinated by the interior and the military installations. 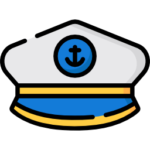 Copyright © 2018 by USS Texas BB 35 . All rights reserved.